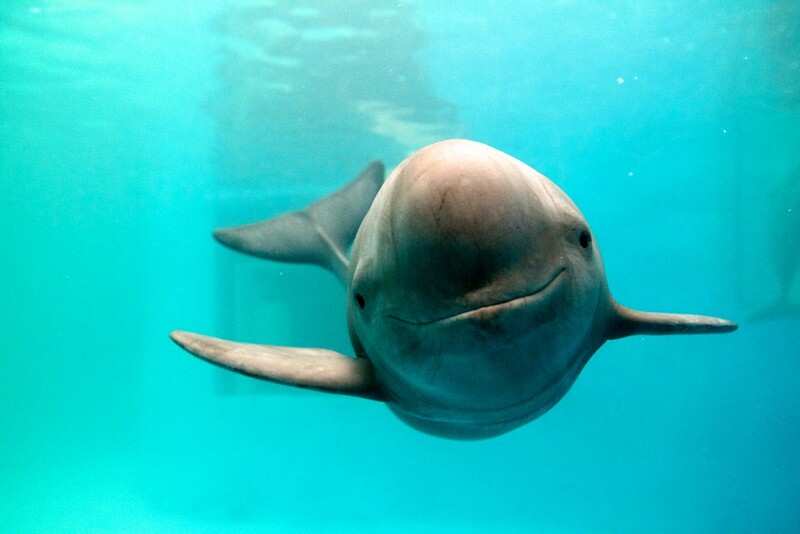 By moving the porpoises to a new area, officials hope to repopulate these porpoises and to avoid having them meet the same fate as the Baiji dolphins, which were officially declared extinct nearly a decade ago. 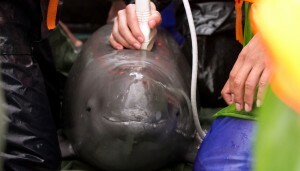 According to Director of the Freshwater Program for the World Wildlife Fund Karin Krchnak, maintaining the porpoise population is pivotal for the Chinese. With only 1,000 porpoises remaining, the mammals are estimated to survive less than a decade if no immediate measures are taken. The WWF reports these porpoises could be extinct within the next five to 10 years as their population drops by nearly 14 percent each year. Krchnak says these declines come as a result of industrial and agricultural pollution impacting the river system, boat traffic in the river basin and most importantly changes to their habitat by infrastructure that cuts off their ability to navigate through the river to find food sources and reproduce. 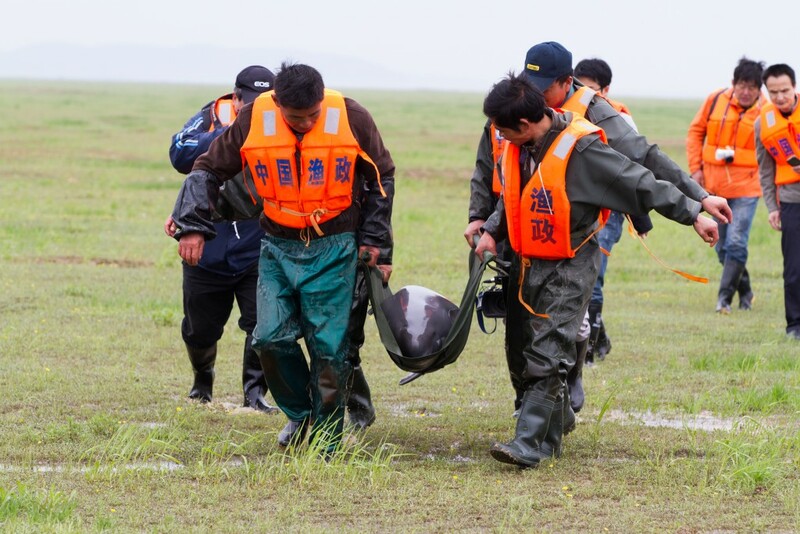 The harsh mortality rate prompted China’s Ministry of Agriculture to devise a plan that will move four finless porpoises from Poyang Lake into a secure new habitat that is seasonally connected to the Yangtze by the end of March. The other four will be taken at a later date to the Tian-e-zhou oxbow in hopes of boosting the genetic diversity of its already existing population. 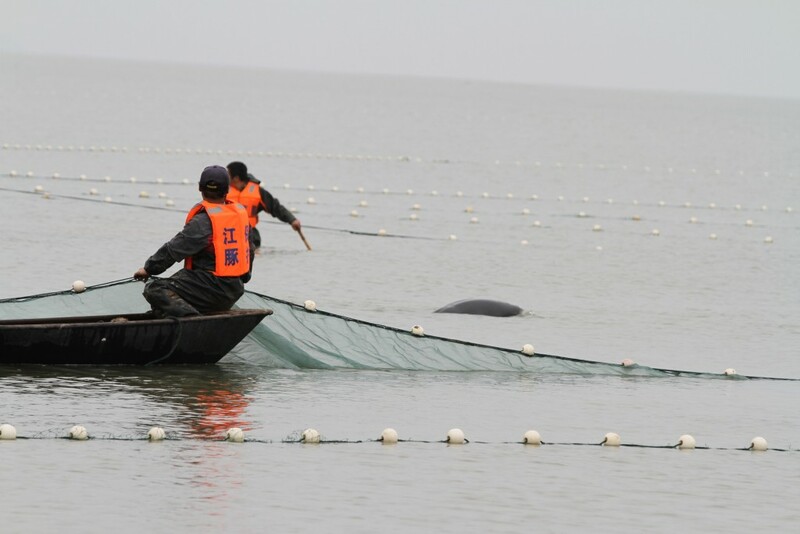 This area has had a bustling porpoise community since the ministry and Institute of Hydrobiology of the Chinese Academy of Science successfully began a reservoir in the 1990s. The key to relocation, Krchnak explains, is making sure the new habitats meet an animal’s needs for reproduction, food and long-term health. “This relocation is bringing the species into an area where all of the different elements are there for actual long time survival,” she said. If all goes as planned, experts expect the new communities to be home over time to about 100 porpoises, which are nicknamed “underwater pandas” because of their smile and cuddly demeanor. To maintain that harmony, local officials have teamed up with Chinese fishermen and the WWF to find areas in the vicinity where they can fish and not jeopardize the environment. The team also plans to supplement fishermen financially and provide technical alternatives over the next three-to-five years to help the fishermen develop other income. Editor’s note: This story has been updated to reflect the correct spelling of Karin Krchnak‘s name.